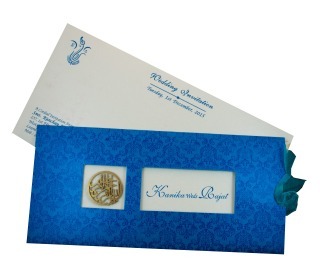 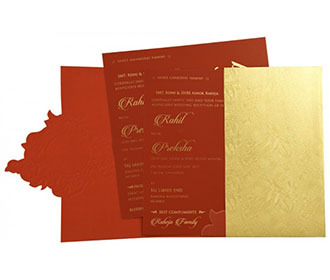 This is a modern hindu wedding invitation in gate fold with laser cut Ganesha. 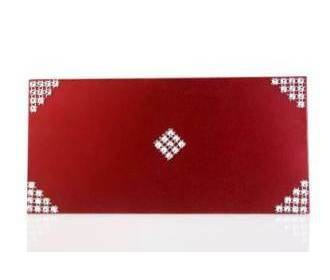 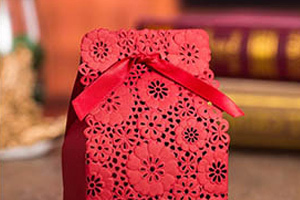 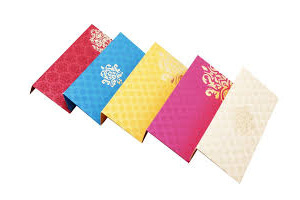 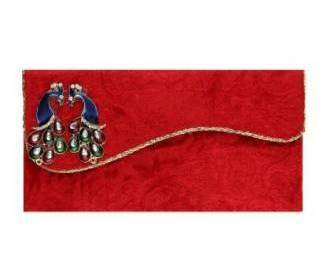 The envelope is in maroon colour with a border with geometrical patterns. 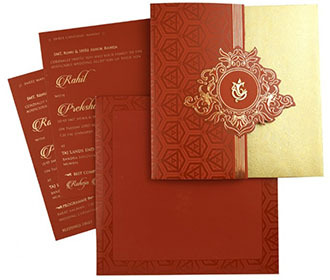 The main card is a gate fold with top flap in maroon with geometrical patterns over it. 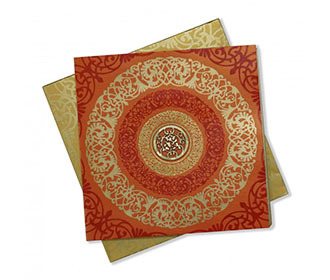 Along the right edge is an elaborate pattern in golden with laser cut Ganesha placed in the center. 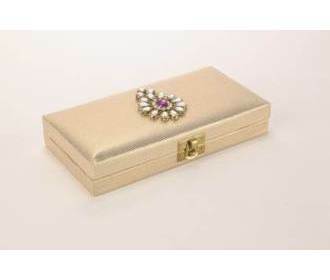 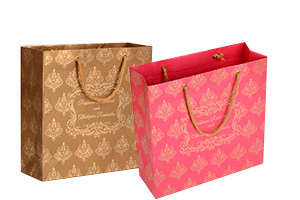 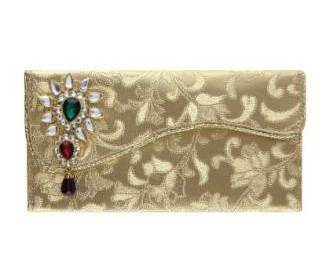 The bottom flap is in cream colour with floral motifs in self. 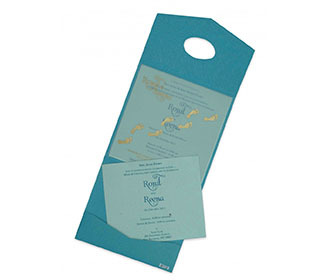 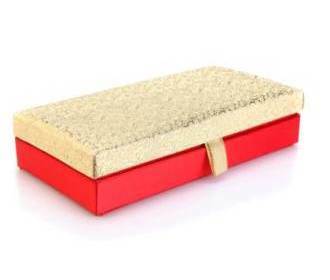 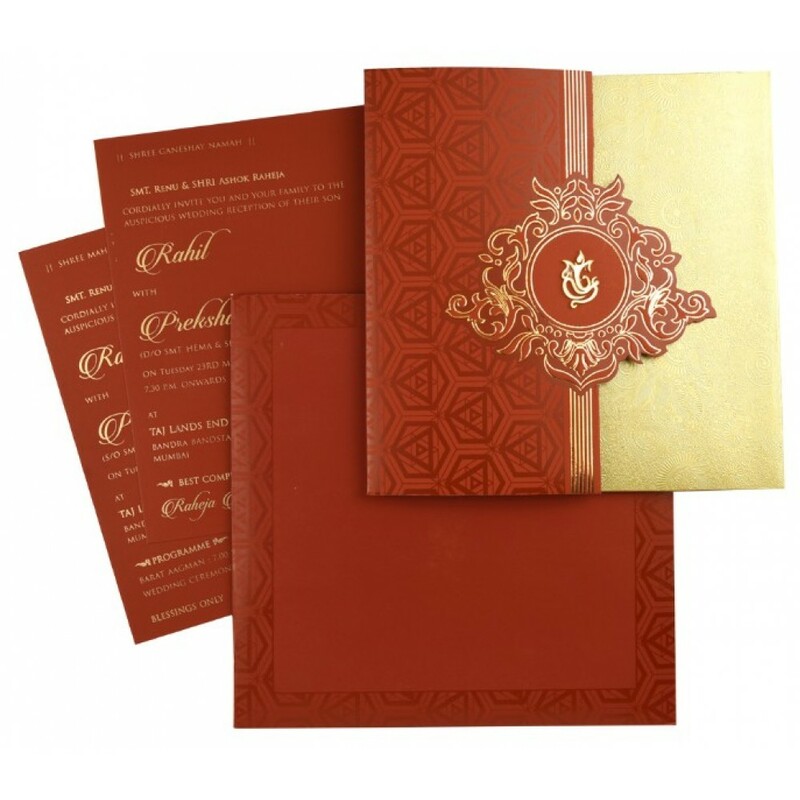 The invitation comes with two maroon colour inserts.